Words have tremendous power when used with purpose and intelligence—they can inspire, motivate, mobilize, attack, defend, uplift, and create emotions of every kind imaginable. Even the way or order in which words are used has an impact on how they’re received. The nuances of human language are very subtle and able to communicate a wide variety of complex emotions. The question, then, is why do we throw words around with such abandon in our marketing, or even ignore their true potential altogether, when they have such power to move our audience? Not only that, why do we sometimes fail to consider our choice of words more carefully, especially in our marketing and any other communication we have with our prospects and clients? Given that our marketing is meant to persuade and influence our audience, you’d imagine that we’d spend a lot more time crafting what we write or say. Any business can use photographs, of course, but photographers get to use the ones they created themselves, which is a powerful distinction and huge advantage because of their direct and personal emotional connection to the image. However, it’s not the photographs, but the words we use that I want you to focus on here, because too many photographers rely almost exclusively on their images to speak for them, rather than adding their own voice to help transmit their message more efficiently. As much as we would like to think so, photographs by themselves are not the best marketing tools. Even the most stirring and emotionally moving of images requires some words to complete the marketing message. The idea that our photography speaks for itself is simply untrue, at least when it comes to marketing ourselves to the general consumer. We must therefore supplement our imagery with the story, the reason the image exists in the first place, the benefits it brings to the owner of the photograph, and the emotions being captured. Instead, I have the feeling that many photographers mistakenly expect anyone viewing the image to instinctively understand all of that without being told. I’m not suggesting that we all need to be great orators or deep thinkers – far from it. We don’t have to come up with Earth-shattering phrases to move an entire generation – just a few heartfelt and compelling words that speak directly to the needs and desires of those we wish to serve. In the video the simple change of choosing different words creates such an emotional connection to the man’s “target market” that he’s overwhelmed with donations. Yet, the actual essence of the message remained unchanged. What did the girl in the video actually do to make the man’s message more effective and can we do the same thing to our own marketing message? The first thing, and this is only my own perception, is that she made the message less about the man, and more about his audience. Suddenly, the message became something the target market could relate to in a very personal and emotional way. It suddenly became much more difficult to ignore. The funny thing was that it wasn’t even a beautiful day at the time! It looked just like another rainy, dreary day of British weather. Nonetheless, right there in the new message, was the concept that every day is beautiful when viewed from the perspective of someone like the gentleman sitting on the ground. The core concept is subtle, simple, and easily transmitted – able to be seen, absorbed, assimilated, and responded to in the fleeting time it took for someone to walk past. Secondly, she chose the emotional word “beautiful” with all of its connotations. This requires more processing from our brain to process than a noun might, because the word doesn’t have a clearly defined mental label in our mind – you might say that it’s more “fuzzy” than words that relate to objects or things. In other words, the word “beautiful” required that we think, and it might even provoke emotional memories that then lead us to respond in a certain way. Imagine what might happen if YOUR marketing message could be as effective as that! 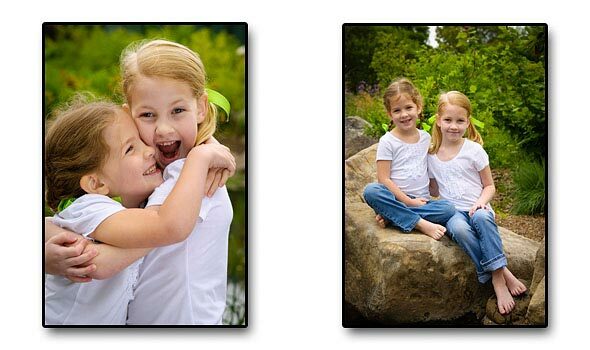 Let’s consider a real-world example to market children’s photography. Children’s portraiture is one of the most emotional-based types of work, and we need to appeal to the emotions of the parent to make the right connection. The equivalent of the man’s sign from the video would be our web page headline, and we know that we have less than two seconds in which to capture the visitor’s attention. What could our headline say? In order to be more effective, we have to appeal to the emotions of our target market. We also want to filter out those people who are not going to be ideal clients – those who either have no children, or who don’t value the importance of hiring a professional photographer to capture their child’s portraits. I’m not claiming this to be the best headline in the world, and I’m sure there are plenty of more effective ones. The main point is that the essence of the message remains the same, but now there’s an added and powerful emotional component that will trigger the desired response in our ideal client.